We have recently updated our Contact Us page to include all departments, their extension numbers, and hours of operation. 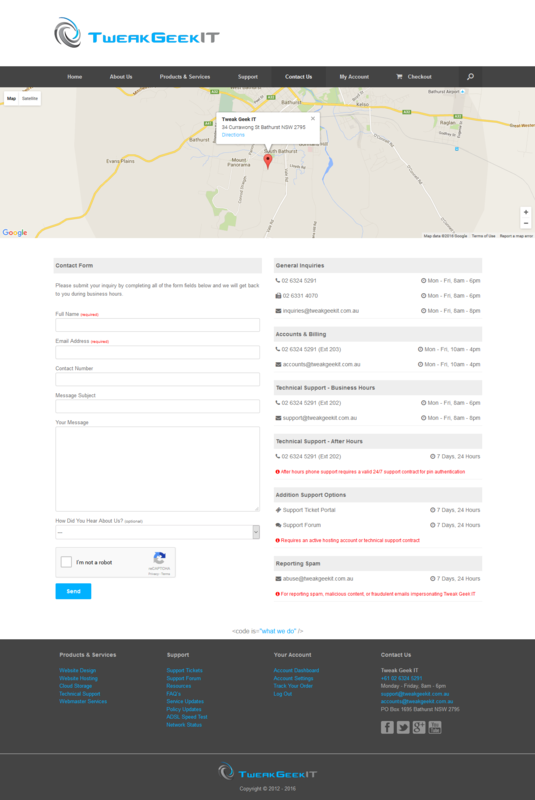 Our location map has also been overhauled to make it more interactive and to allow for direction information when a starting address is entered. We have also made our contact form more mobile friendly by doing away with the classic image based CAPTCHA and replacing it with the far more intuitive “I’m not a robot” which can differentiate between real people and bots. Posted in Support Services, Tweak Geek IT News.